Full marks to HomeServerShow and their eagle-eyed forum poster MicroMatt who have spotted the Microserver G8 Self-Repair Remove/Replace videos. The videos can be accessed by going to the HP Customer Self Repair Services Media Library and selecting “Servers > HP ProLiant MicroServer > HP ProLiant MicroServer G8” and then following the “Remove/Replace videos” link below the selection boxes. 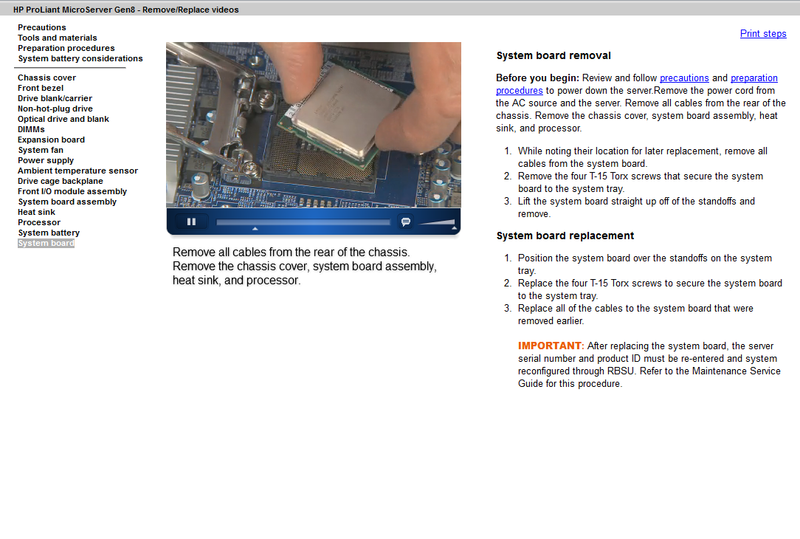 HP Repair video outs the G8 Microserver as having a CPU Socket for a replaceable (and possibly upgradable) CPU.